wow, I’m really happy, the ScaleIO team at EMC have just GA’d version 1.31 of the product, it contains many new features / improvement but the big news is the direct kernel integration of the “SDC” component into the ESXi kernel, that’s right there shows the power of the federation from an alliance point of view but for the techies, it will provide an hugh boost in terms of performance which IMHO prove why a kernel drive for software defined based products like VSAN and now ScaleIO is an Hugh thing! security, SNMP support, and updates to integration features i.e. the REST API and OpenStack. ScaleIO 1.31 introduces several changes in the VMware environment. the SVM will continue to be required for the MDM and the SDS components. migrating the SDC from the SVM into the ESX kernel. the SVM-based SDC must be deployed. 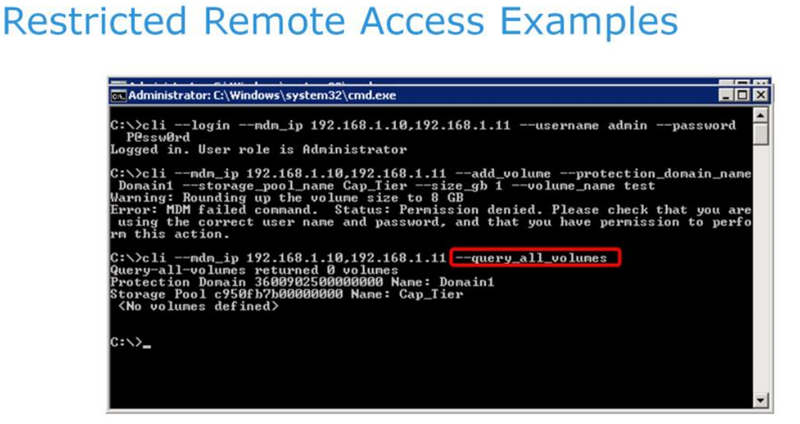 Agent (LIA) are running inside virtual machines called the ScaleIO Virtual Machines (SVMs). These components are upgraded in place, inside the SVMs, using the Installation Manager. perform this step directly from the vSphere Web Client. applies to clients of all types including the CLI, GUI, and REST clients. permitted for the “Monitor” role, can be executed. This is regardless of the role of the loggedin user. all volumes in the system. failure when that user attempts to make a change to the system. volumes to an explicit set of SDCs. This is referred to as the restricted SDC access feature. example, mapping volumes to the SDC. the SDC is installed on it. With prior versions, the SDS RAM cache was used by the entire Storage Pool. the RAM cache will be used for that volume. been enhanced, and the command –set_volume_rmcache_usage has been added. ScaleIO 1.31 can be configured for SNMP trap generation, enabling monitoring using thirdparty management tools which can receive SNMP traps. code that specifies a remedial action for that event. With Version 1.31, ScaleIO adds support for Redhat and CentOS version 7.0. The REST API has been updated to accommodate all the added and changed commands. volumes, by selecting a suitable Storage Pool. Previous Post Previous post: EMC Storage Analytics (ESA) 3.0 – Now With XtremIO Support !